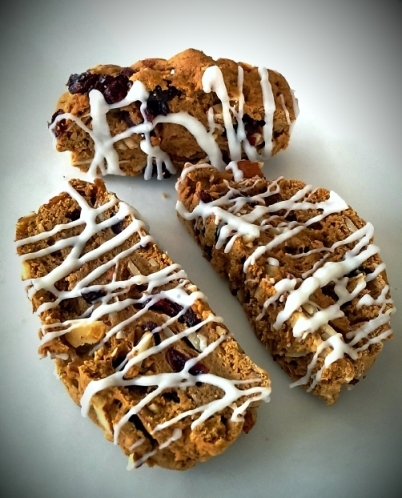 [The Cookie Elf File] Cranberry Almond Biscotti -- the easy way! Welcome back to The Cookie Elf File! About once a week, The Elf will send you a favorite cookie recipe, complete with a list of ingredients and instructions. The Elf also includes baking tips to help you bake and enjoy homemade cookies in your own kitchen ... the easy way. The big secret is that making biscotti is easy. Cranberry Almond Biscotti incorporate dried cranberries and sugar substitute in a fresh version of these traditionally almond-flavored Italian cookies.